Andr ew Busby came to Amersham Free Church in July 1998 from Pinner United Free Church. He was married to Angela, a hospital radiographer, and they have four grown-up children. After a difficult first year involving cancer surgery and chemotherapy, which happily Andrew survived, church life moved in a user-friendly direction in terms of accessibility and ethos. Regular family services (4 a year) were introduced in the mornings, mostly with Guides, Brownies and Rainbows on parade. Shorter, 50 minute, services (6 a year) became a familiar feature from 2005 with the refreshments often followed by an invited speaker on a mission subject. Sunday morning celebration of Holy Communion changed to twice rather than once a month. The evening services (shared with St John’s until 2007) were deformalised, to include some contemporary style Praise Plus services. A worship guide was produced and made available in every chair. Publicity was also important to him and he produced posters, flyers and invitations on his computer to special services or particular events in the church. The church moved into the 21st century using powerpoint displays to enhance worship, a website and a high quality sound system able to play recorded music. Music was important to his ministry. He was an excellent organist himself and relished the opportunity to play for part of a service (and very occasionally all of it). He encouraged others as well and the weekly music group now plays regularly with the organ and piano for the first half of the service. A system of prayer requests was instituted with a box in the hall foyer and a phone number for urgent requests. Prayer generally gained a higher profile, with prayer needs shared in various ways and the opportunity to join a prayer group. The minister started Vestry Hour in 2000 as a time each Friday when he could always be accessed at the church without appointment. The shared nature of pastoral care, ‘officially’ by ministers and elders and unofficially more widely, was consolidated and the first assistant elders were appointed in 2005. Outreach manifested itself in many different ways. The church took part in an ecumenical venture for the Millennium, helping to distribute gospels to 3,000 houses in Amersham. A monthly service at Rayners, a residential home for the elderly in Hyde Heath, and the twice-yearly leading of a service at Amersham Hospital were started (in addition to the monthly service at The Croft which continued). Andrew regularly took assemblies at local schools and the parent & toddler group, Fun at One, which began in 1998, brought many families into contact with the church. A large number of partner organisations now use the premises regularly and Andrew always made sure that he was in contact with the user groups and set up a system of link people from the church. The church runs unpressurised Why Believe? courses from time to time and holds Men's Breakfasts and Ladies' Suppers with speakers from a Christian viewpoint. LunchBreak began in 2006 and its popularity has soared; the church hosts a large number of people from the local area for a snack lunch every Tuesday lunchtime and provides a varied twenty minute programme at 1.10pm, sometimes musical, sometimes faith-based. Teams able to take services, especially at churches without ministers, were formed in 2000 when Andrew was interim moderator at Holmer Green Baptist Church and, later, at Chorleywood Free Church, Trinity URC High Wycombe and Trinity URC Slough, and are now much in demand. Nearly 50 different people have been involved. The level of participation in our own services has increased with a growing number of people taking part because Andrew used his talent at spotting gifts in people and encouraged them to use them. The church's Mission Statement was revised in 1999 to be more usable, and the church premises have been continually updated to be more welcoming, e.g. the toilets were renewed to include a disabled loo, the Owen Room refurbished to provide a more friendly atmosphere for meetings and courses and new lighting in the sanctuary. The biggest achievement was the first part of the major vision4thefuture redevelopment; the more open, outward-looking, modern new hall was completed in 2010 and reflected Andrew's vision of Amersham Free Church as a 'community for the community'. In 1999 Alan Kirkcaldy was inducted as part-time Associate Minister, initially alongside his day job at Amersham plc. 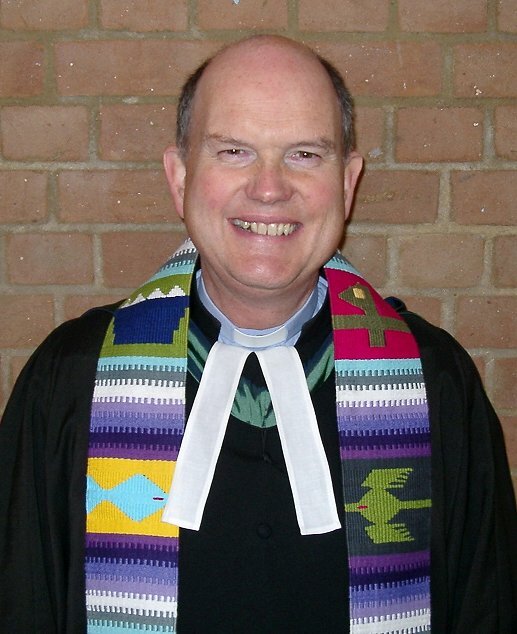 He left in November 2004 to be minister at Wendover Free Church and Erna Stevenson was inducted as Alan's successor in January 2005. Erna’s encouragement of lay-training courses and housegroups has made its mark. We have also welcomed Time for God volunteers - Amy, Julie and Allison from the US, Sarah, Christine and Mathias from Germany, Marie from Denmark, Anna from Hungary, TaeSeung from S Korea and Elin from Sweden. They join fully in the life of the church for 10 months, particularly with the young people, often as a Gap Year before university or after finishing a degree and deciding what to do with their lives. Amersham Free Church celebrated its centenary in 2007 with a programme of special events and distinguished visiting preachers. We undertook an ambitious project, Water4Africa, aiming to raise £50,000 to deliver clean water and proper sanitation to 10,000 people in the schools and communities of central Uganda, under the auspices of WaterAid. In fact the final result was £72,300. Also as part of the centenary an ongoing urban link was set up with St Margaret’s & St George’s United Reformed and Moravian Church in Harlesden. On 1st May 2011 Andrew finally succumbed to the cancer that had been part of his life since he first arrived at AFC.